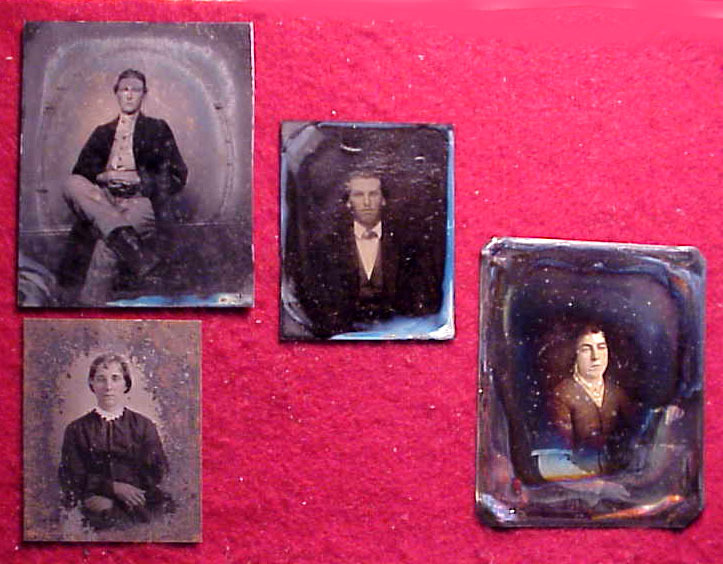 This is for 4 Civil War era photographs: one sixth plate Dag of a lady and 3 tintypes. All from one family group. 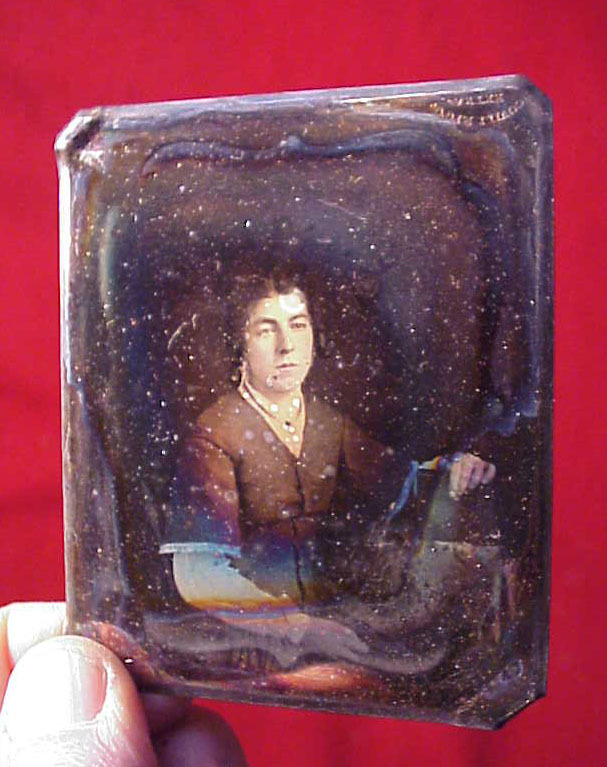 The Daguerreotype has solarization ring around edges. 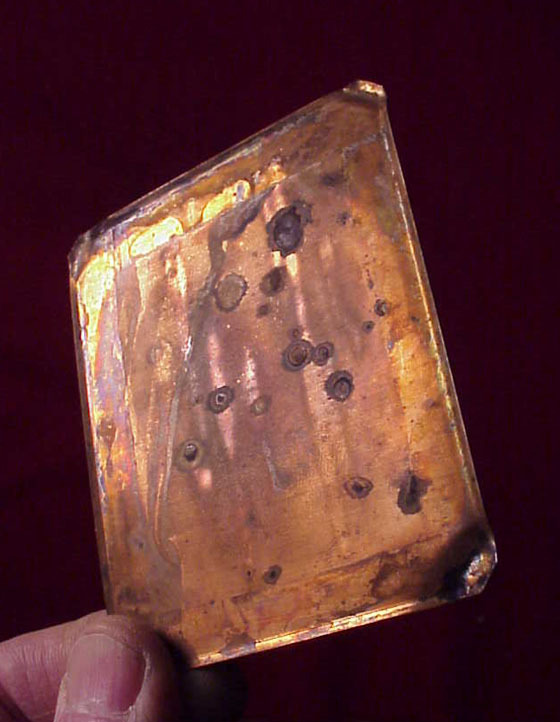 Plate impressed in corner: "Scovill Mfg. Co Extra". 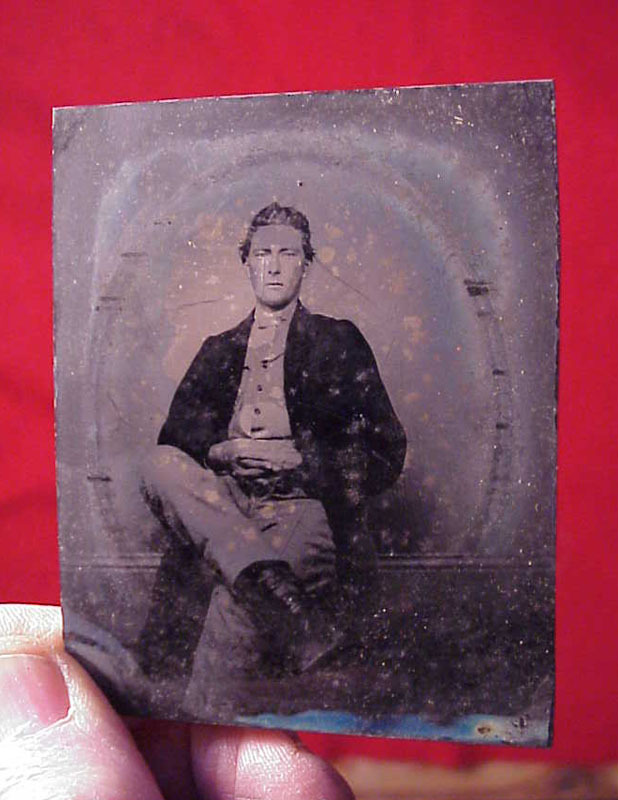 A sixth plate of seated young man. 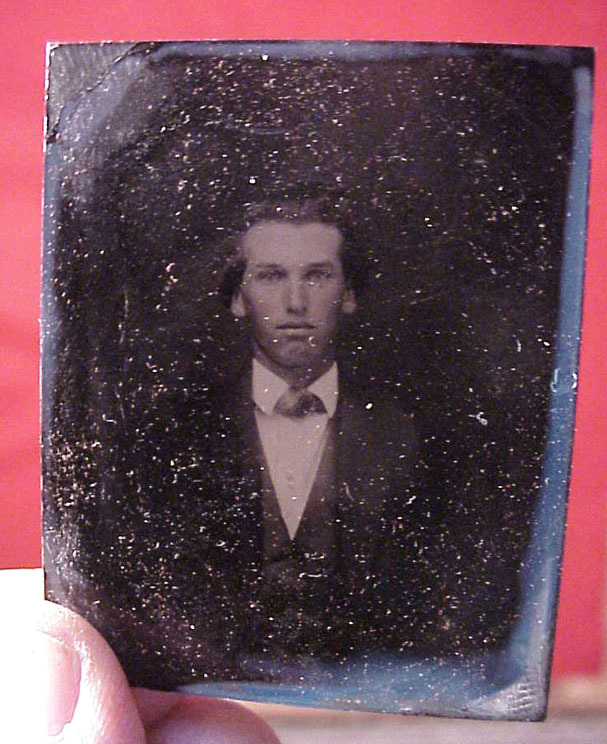 A ninth plate tin of a young man in Sunday best. 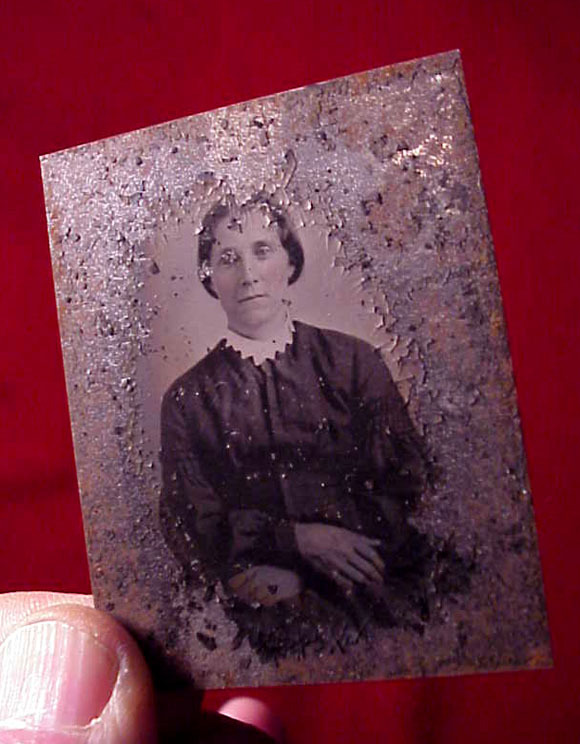 And a flaking ninth plate of a farm woman. All for one price! 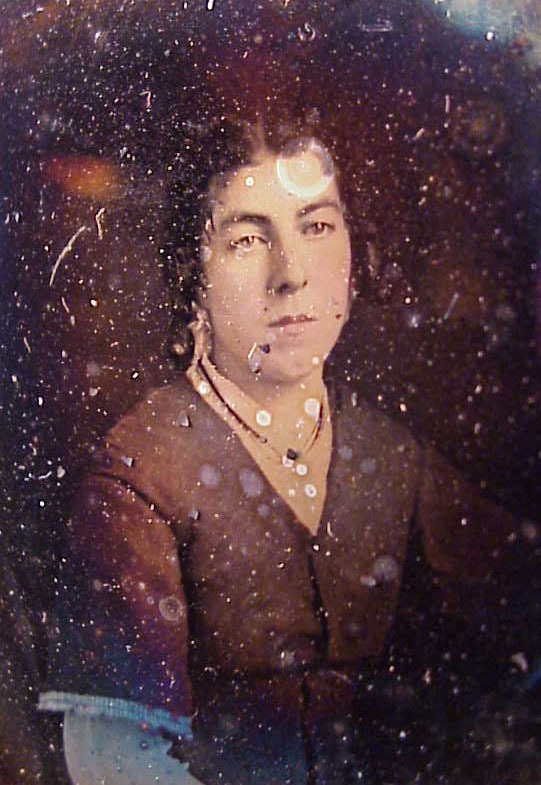 Family name not known.